Composer Jeff Wayne’s War of The Worlds, a symphonic, progressive rock retelling of the H.G.Wells Classic, was released in 1978 and has since sold millions of copies around the world. The first album to be recorded on 48 tracks, it featured a number of high profile musicians including Justin Hayward, Phil Lynott, Julie Covington and David Essex, as well as the voice of legendary Welsh actor Richard Burton. 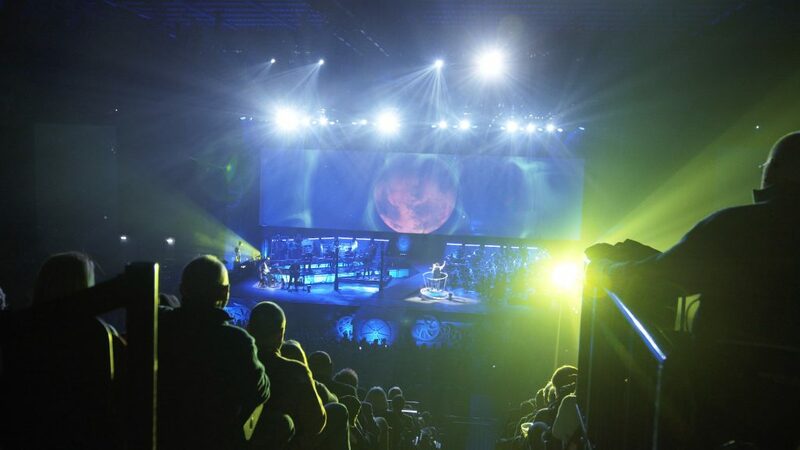 Over many years, touring productions of War of the Worlds have received critical acclaim, huge public support and featured notable stars such as Russel Watson, Jason Donovan, Ricky Wilson and Joss Stone, playing principal roles. 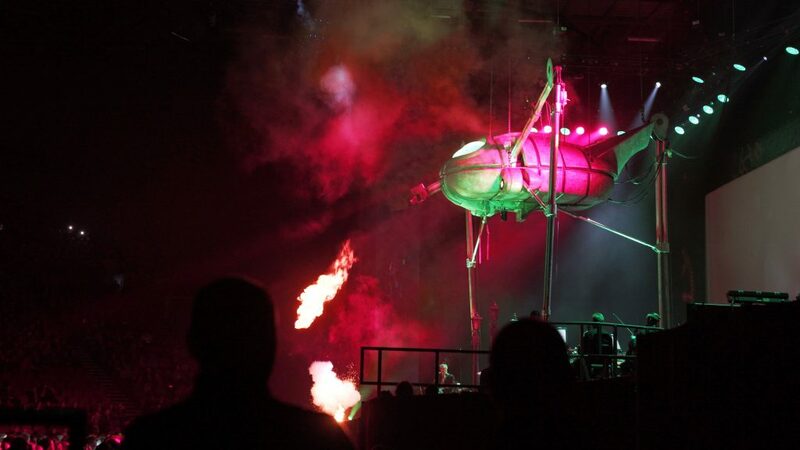 In 2018 Jeff Wayne took to the podium to conduct the latest version during a tour of UK arenas. 8 singers were accompanied by a 9-piece band and 36-strong orchestra to deliver the spectacular show to sold out audiences across the country. Becky approached Jeff prior to the tour and suggested that he listen to the KLANG demo and compare its 3D properties to stereo. He was immediately on board with the idea, recognising that the spatial placement on offer would be of great benefit. The application of KLANG to The War of The Worlds production perfectly exemplifies the way in which this leading-edge technology can enable the user to enjoy even the most complex mix in exactly the way they would choose, without any compromise. 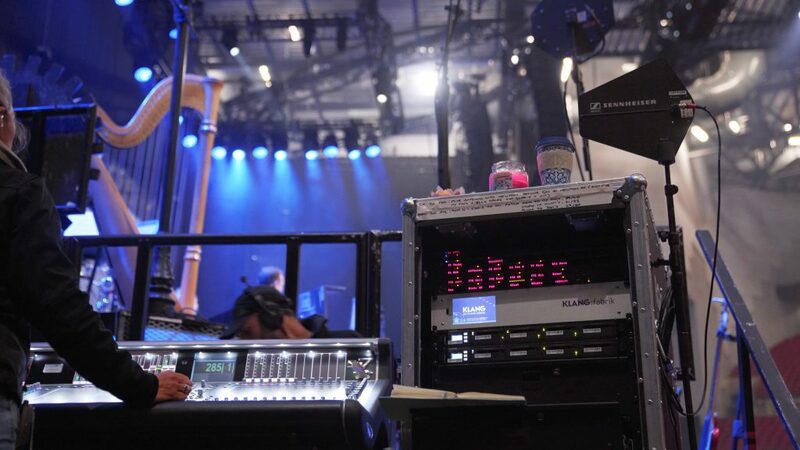 Jeff Wayne has confirmed his intention to continue with KLANG in-ear monitoring – his experience perhaps confirming Becky Pell’s assertion that returning to stereo would be “like flying business class and then going back to economy…” For Becky, a leading audio professional with an enviable list of credits, KLANG is most certainly the future. The last word goes to a man whose vision has been seen and heard by millions for forty years. Thanks to Andy Huffer at HD Pro Audio UK for providing logistics and support. 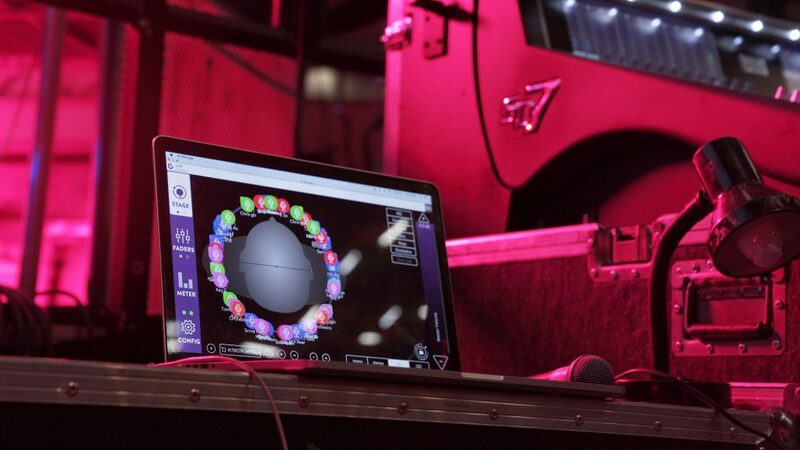 Next story Meet us at NAMM show 2019 to get immersed!